There’s something about the feeling of a memory foam mattress that just can’t be replaced. Maybe it’s because there was so much hype when it first appeared: we finally have an alternative to mattress springs poking us in the ribs. The body felt like it was lying on clouds as every part of it was being caressed by soft and comforting memory foam. Even if hybrid mattresses are now gaining more and more popularity, memory foam mattress lovers will most likely stick to their favorite choice. 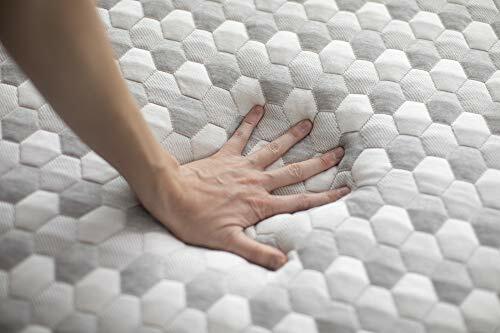 If you’re on the market looking for a good mattress that’s made entirely from foam, the Layla and Bear brands have something really good in store for you. 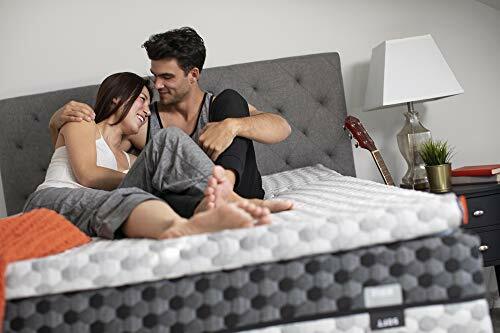 Layla focused on delivering a dual-sided mattress that made customers not have to choose between a firm and a plush mattress, giving you the best of both worlds in a single product. 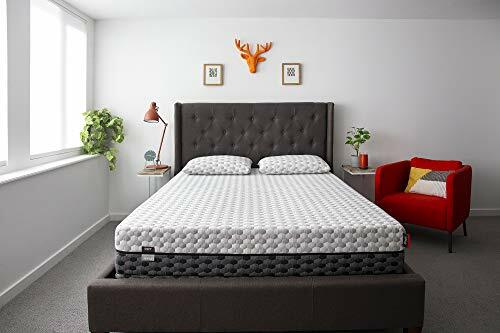 The Bear mattress, on the other hand, decided to experiment with the top cover, being one of the only two mattress brands that sells Celliant covered mattresses. Curious to know what Celliant does? Read on to find out! Free, but added costs may be applied when shipping to Hawaii, Alaska or Puerto Rico. The Layla mattress debuts with a soft cover, pleasant to both the eyes and the touch. Since it’s woven with the thermoGEL cooling agent, the manufacturer has clearly invested in bringing heat down, to make the mattress more comfortable to the sleeper. The cover features a zipper, allowing you to remove and clean it. However, due to the combination between viscose, lycra, and polyester, it needs to be dry cleaned instead of being thrown in the washing machine. Since the Layla is a dual-sided mattress designed for people who are looking for firmness and softness in a single product, we have to pick a side to describe its construction. When the Layla bed is used with the plush side facing upwards, the comfort layer that lies beneath the mattress is a three-inch copper-infused memory foam block, which is latter mirrored at a lower scale, on the firmer side of the bed. Back to business. As we mentioned, the first layer of the softer side of the Layla mattress is made of a generous block of memory foam that provides a decent amount of support for people who like to sleep on their side. In fact, this sleeping position is often the target of a plushier mattress, as the pressure points created are deeper compared to those of other common sleeping positions. Due to the copper-infusion, this memory foam layer is also looking to help the customer sleep cool, as cooper is second only to silver when it comes to conductivity. The convoluted layer that transitions between the comfort and the base layers measures two inches in thickness. The egg carton shape is meant to facilitate airflow within the mattress, contributing to the cooling of the sleeper’s body. The support layer on the Layla bed is a huge block of foam that takes on the entire weight of the bed, providing with shape and durability. As you’re lying on the firmer side of the Layla mattress, your weight will eventually reach this base layer faster, as there is no transition layer between the comfort foam and the base. The last layer in the Layla is also the first layer felt by those who like to sleep on the firmer side of the bed. It’s a one-inch block of copper-infused memory foam, similar to the comfort layer of the plush side. With the Layla mattress, things are pretty straightforward. If you like to sleep on the side, you choose the plush side. If you’re more of a back or a stomach sleeper, you’ll definitely want to flip the mattress to the firmer side. However, depending on your weight, you might not feel a lot of difference between the plush and the firm side of the bed. Both sides of the bed are capable of providing good body contouring, without having to compromise support. 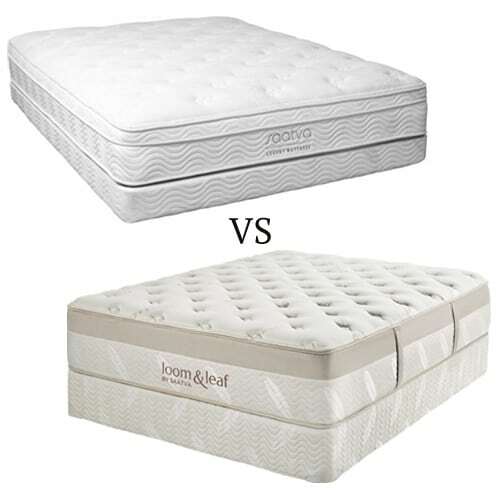 When it comes to the firmness of a mattress, the right answer to every question is “it depends”. Every person will feel the firmness of a mattress differently. 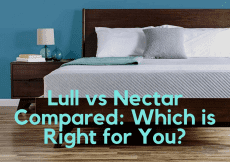 What we can tell you from personal experience is that the plush side of the Layla mattress has a rating of around 5 – 6, while the firmer side is more of a 6 – 7. Basically, the Layla mattress provides about six different feelings, depending on the side chosen and your favorite sleeping position. As you apply pressure on the soft side of the bed, you will feel how the comfort layer takes the shape of your body and contours it for adequate support. Lying down on your back, you will feel a little bit of compression, but there is still enough back support to keep your spine aligned, avoiding any potential lower back pains. Rolling over on your side, you will feel a little bit of pressure in your hips area, but you will also feel how the body digs deeper into the comfort layer, for added support, indicating that the plush side of the Layla mattress was indeed designed for side sleepers. People who like to sleep on their stomach won’t fully benefit from this side, as the hips are not pushed upwards as they should be. Flipping the mattress over to the firm side, there’s a whole new comfort level to be experienced. Because the comfort layer is way thinner compared to the one on the other side of the bed, you will feel a quick transition to the base support layer. The firmness on this side of the bed does a great job in preventing compression and doesn’t allow your body to sink into the bed too much. Moving to the side, you will see that pressure in the shoulders and hips is way more noticeable. The thin layer of memory foam is not capable of providing enough support for people who prefer this position. For stomach sleepers, it’s important to mention that the hips won’t sink into the mattress that much and there isn’t too much pressure on the chest area either. Even so, due to its firmness, women probably won’t enjoy sleeping on their stomach on this side of the mattress, because chest pressure could lead to discomfort and a sore bosom. Whether you’re sharing the bed with a partner or want to benefit from every square inch of your mattress (because, what the heck, it is YOUR mattress), edge support is an important chapter in the expectations we have from a bed. There’s this belief that memory foam mattresses will perform poorly when it comes to edge support, and while that may have been the case in the past, things are quite a different know. As expected, you get a lot more edge support when you are lying on the edge of the Layla mattress, rather than sitting on it. That’s because the weight distribution works on a much larger surface, doing a better job of preventing compression. The Bear mattress is giving us a lot to talk about straight from the cover. Some of you may have already heard about the alleged properties of Celliant. This synthetic fiber that’s obtained through a mixture of 13 different minerals is believed to be capable of turning body heat into infrared energy that’s later transmitted back to the body. This is believed to improve blood circulation and speed the recovery of people who’ve suffer from injuries or are experiencing aches and pains. As you can imagine, there’s a lot of debate on whether Celliant does or does not have these miraculous properties. What we can tell you for sure is that Celliant is also used in manufacturing sporting apparel. The comfort layer of the Bear mattress measures 1.5 inches in thickness and features a graphite infusion. One of the main characteristics of this graphite infusion is the capacity to regulate body temperature and allow the customer to sleep cool. We’re going to talk about the second and third layers of the Bear mattress by treating them as a single unit because they are identical. They both measure one inch in thickness and are made with a 3 lbs density memory foam. Because of their construction, these layers add a little bit of bounce to the mattress, making it easy to switch between sleeping positions. Because of their placements inside the mattress, they also act as transition layers between the comfort layer above and the base one below. The base layer of the Bear mattress is pretty standards across the majority of memory foam mattresses. It’s a 6.5-inch layer of high-density polyfoam that gives the mattress shape and durability. 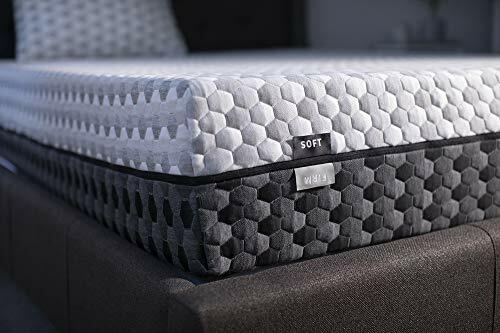 It’s also the firmest layer of all, as the Bear mattress is constructed from a block of memory foam that increase in firmness as we move from the top layer to the bottom one. Of course, the firmness of theBear mattress (just like with every other mattress) is pretty subjective. If you are like most people, you will feel the firmness of the bed somewhere within the range of 6.5 and 7.5, meaning that this mattress is medium-firm. When first testing the firmness of the bed, we felt a cradle-like feel due to the gel memory foam layer. While it does feel a bit soft, chances are, under the pressure of your body’s weight, you will feel the middle layers. As we’ve mentioned before, the dual middle layer transitions to the more solid base of the bed, but you will still be able to benefit from the ease of movement since the mattress is quick to respond to pressure. The feel of the Bear mattress will indicate which are the best sleeping positions for this particular bed. Truth be told, we already have a pretty good idea due to the firmness rating, but testing never hurt, just to confirm our suspicions. Lying on the back on top of the Bear mattress, you will barely feel any pressure points. That’s because, even if the upper comfort layer if pretty thin, the lower layers of foam manage to go a great job in providing good body support for your lower back area. The combination between the get memory foam and the bounciness of the middle layers does a great job in filling the gap of your lower back section, giving you enough spine support. If you roll over to your side, you will feel a little bit of pressure in your shoulder and hip areas. While this isn’t a red flag, the pressure points are still pretty visible, which indicates that people who spend most of their nights sleeping on the side might want to redirect their attention to a plushier mattress. Stomach sleepers will be pleased to know that there is very little pressure felt in this particular position. While the least recommended one of all, it’s important to have a mattress that pushes back your hips, while allowing you to comfortably breathe by not forcing itself on your chest area. Overall, the Bear mattress is best suited for people who prefer to sleep on their back. Bear is one of the two brands that sell mattresses with Celliant covers (the other one is Amerisleep). Curious what all the fuss is about? Here’s what Celliant promises to bring to the table. The reason why the material is used in the cover of a bed and not anywhere else is that it allows it to come in direct contact with the skin. Because of the radiant heat of our bodies, we lose a lot of energy. On the other hand, when our body is exposed to UV light, our bodies get refuel by supplying our cells with more oxygen. Heat loss, bad. Infrared lights, good. That being said, it seems that Celliant might be on to something. A fabric that uses Celliant in its construction is capable of taking our body’s heat and turning it into this infrared energy and then sending it back to our bodies. What does this mean? Increased tissue oxygenation, improved circulation, muscle recovery, and fewer body pains. It’s almost like medication… but inside a mattress. As we’re weighting the pros and cons of the Layla mattress, it’s safe to say that the good outweighs the bad. There are many things we appreciate about the Layla bed: starting with minimal motion transfer and ending with the comfort it provides for every sleeping position. We’ve often faced the harsh decision of having to pick a mattress firmness over another, especially when we have sleeping partners with different preferences than ours. The dual-sided Layla is a gem for those who want more variety when it comes to how soft or firm their bed is and if there’s ever a chance of you not feeling like you’re getting what you need out of this bed, there’s always the 120-night sleep trial to benefit from. The manufacturer was successfully able to create a mattress that can cover a wide range of sleeping habits and preferences. 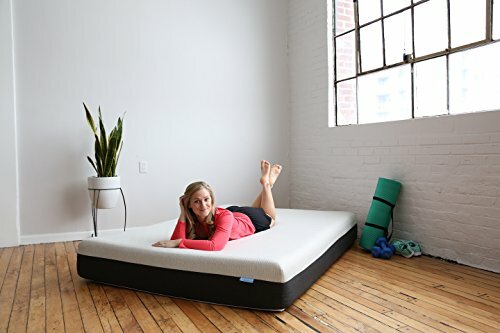 Because it creates a little bit of pressure on the side, it’s best suited for people who like to sleep on their back, as the gel memory foam fills in the gap created in the lower back area, providing superior spinal alignment. It’s also a mattress suitable for people who want to get the best out of a memory foam mattress. 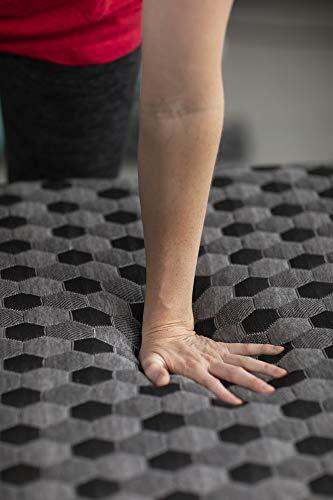 Aside from comfort, the Bear mattress does a good job at cooling the body down, while providing a little bit of bounce, a feature that’s always welcome in a mattress. Finding the ideal mattress is often a hit and miss situation and it may take a lot of experimenting until you determine what’s better suited for your body and your health. 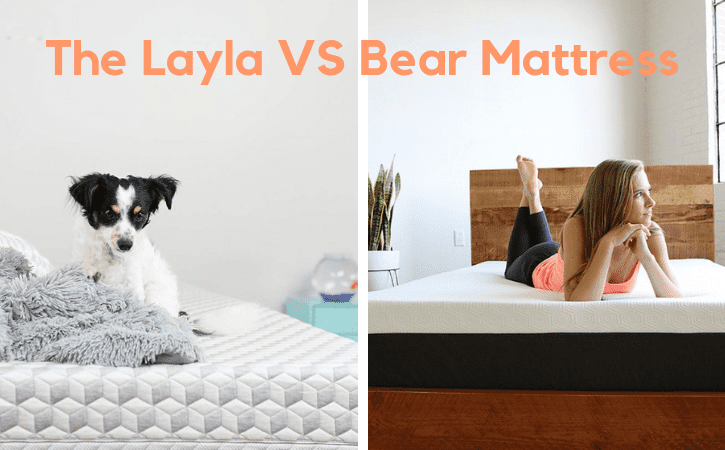 The Layla mattress and Bear mattresses are two of the best all-memory foam beds out there. Each of them integrated different technologies that are aimed at pleasing the customer by finding the right balance between support and comfort. It’s important to analyze and understand your sleeping patterns and habits as much as possible, as this will help you get a better idea of what you need before you go out shopping. 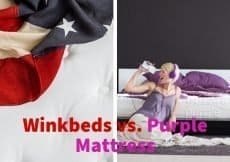 But whichever of these you choose, you will have a generous trial period that gives you time to adjust to your new mattress and ask for a full refund if you feel it’s not what you were looking for.